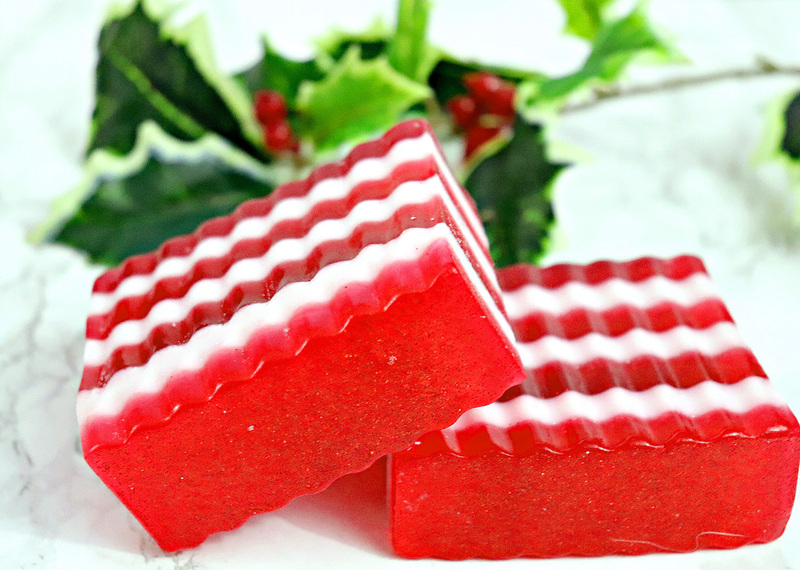 DIY Candy Cane Soap is an easy Christmas craft that makes a great holiday gift idea! 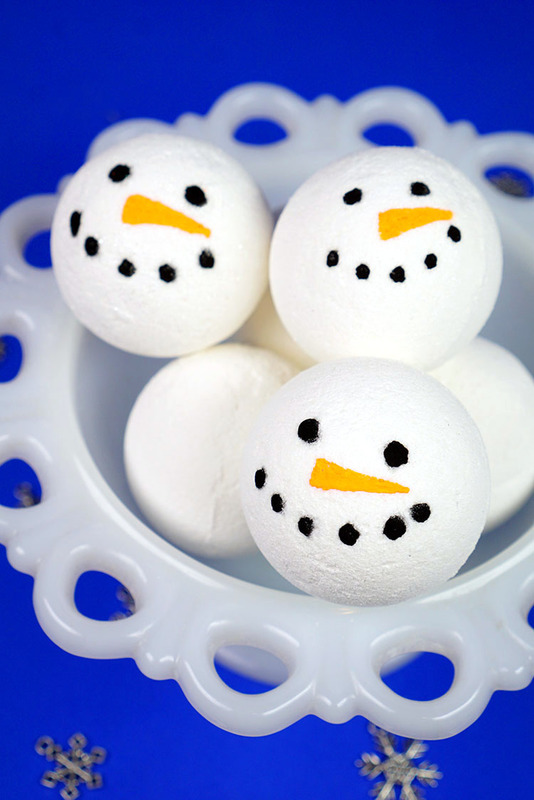 Making homemade soap has never been more festive or fun! 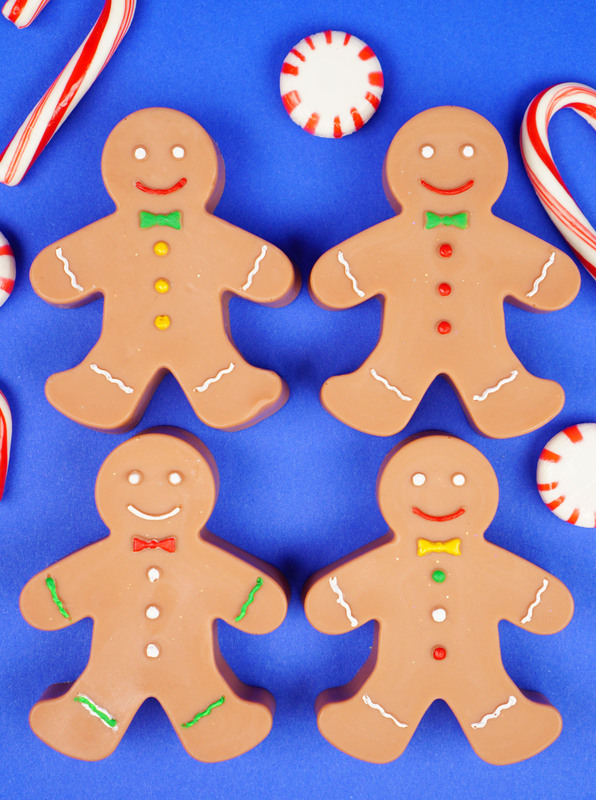 Christmas is just around the corner, and holiday crafting is in full-swing around here! 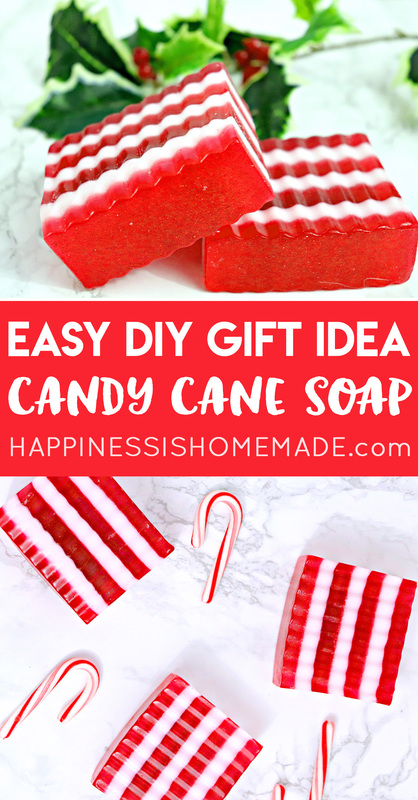 If you’re looking for a great last-minute homemade Christmas gift idea, you’re going to LOVE this easy DIY candy cane soap! This recipe will yield one loaf of soap weighing approximately 1 pound which can be cut into 5-6 bars of soap. We use this wavy soap cutter to make the fun rippled edges. 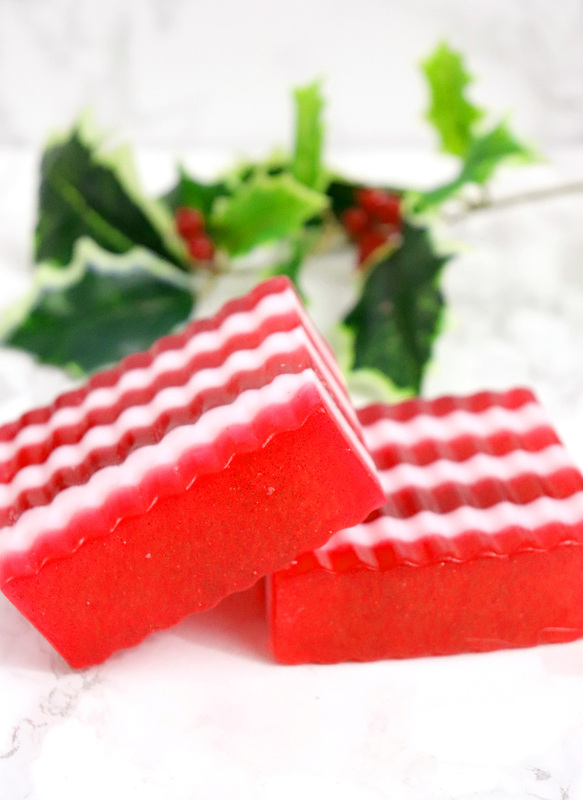 Candy cane soap is super simple to make! 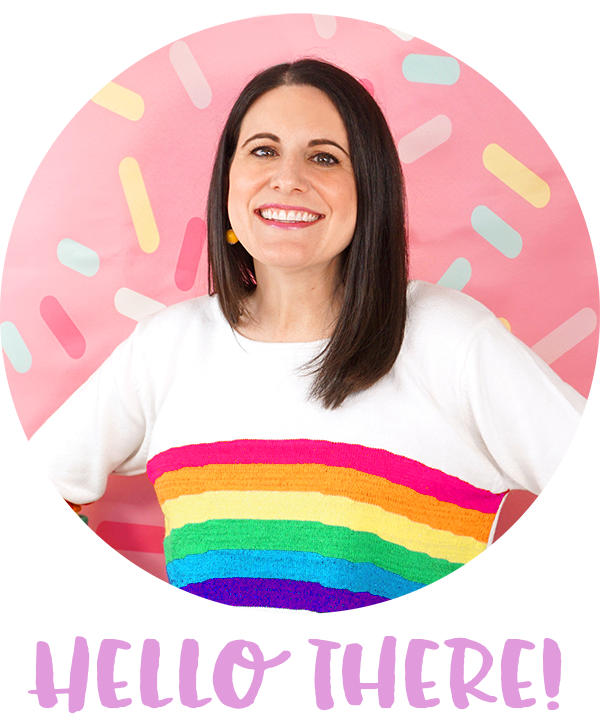 It uses the exact same process as our popular Candy Corn Soaps with the addition of a few more layers. 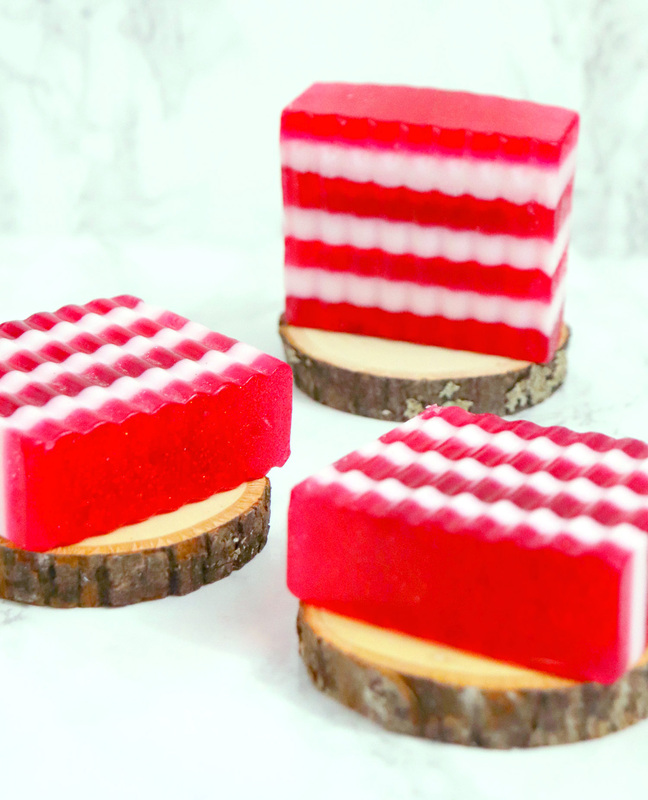 We added a bit of red cosmetic glitter and white pearl mica to give the soaps some sparkle and shimmer. 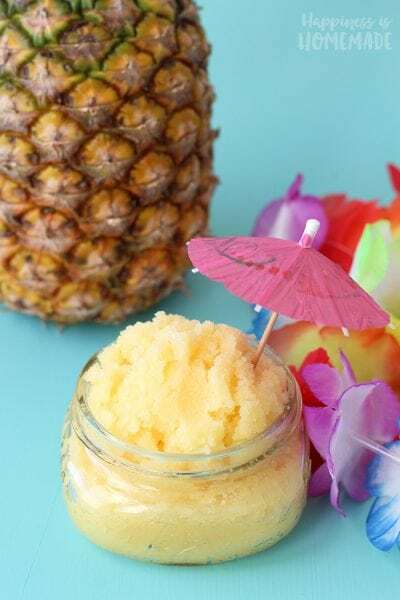 If glitz and glimmer isn’t your thing, you can omit those ingredients. 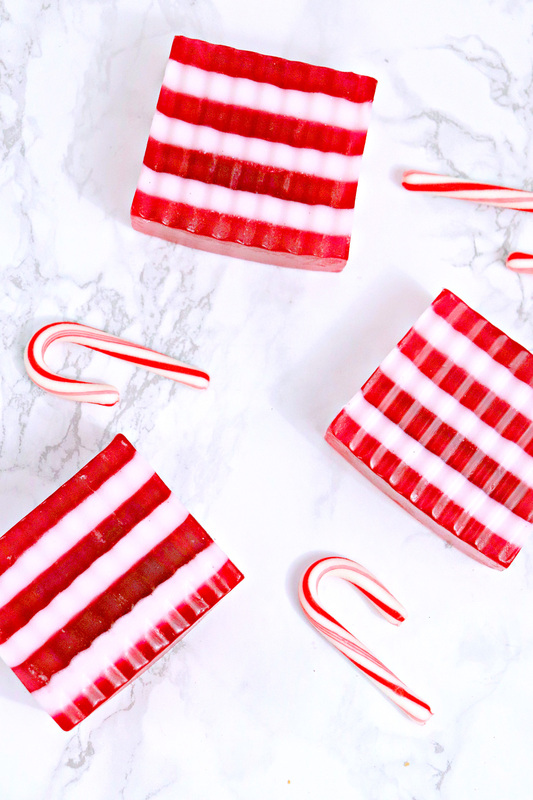 These candy cane soaps are perfect for gifting to friends, family, neighbors, teachers, and more! They’re sure to be a huge hit! 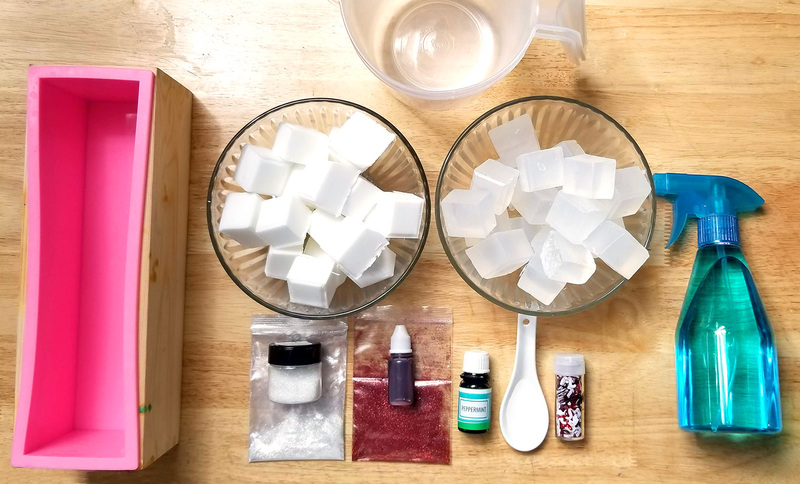 Add 1 pile of the cubes of clear soap base to a microwave-safe measuring cup, and melt the soap in the microwave in 30-second intervals, stirring after each, until completely melted. Add red soap colorant until desired color is reached. Add 3-5 drops of peppermint essential oil or candy cane fragrance oil and mix well. Add red cosmetic glitter if desired. Spray bottom of mold with rubbing alcohol to prevent bubbles from forming on the bottom. 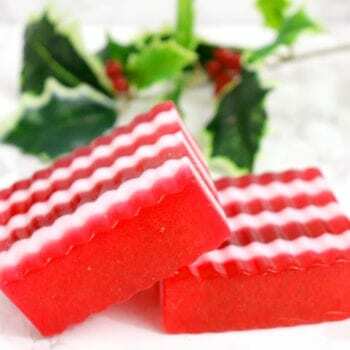 Pour red soap mixture into mold. Spray with rubbing alcohol to prevent bubbles from forming on the top. Allow the layer of soap to harden completely before pouring the next layer. 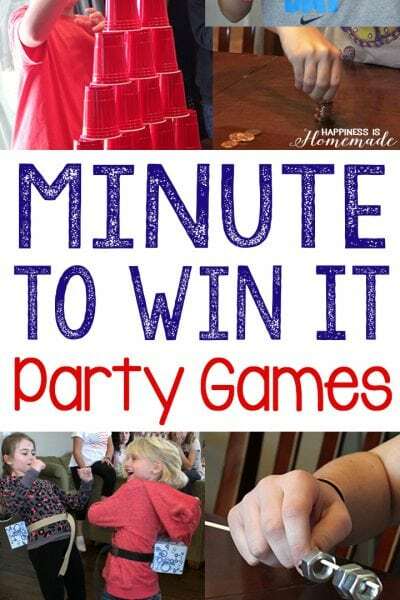 This can take anywhere from 10-40 minutes depending on the temperature and humidity. 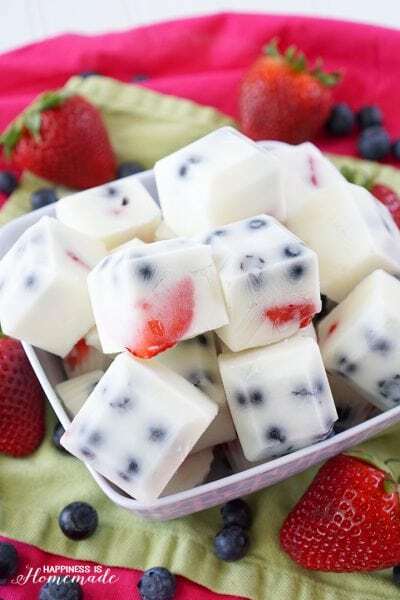 When the red layer is firm, add 1 pile of the cubes of white soap base to a microwave-safe measuring cup, and melt the soap in the microwave in 30-second intervals, stirring after each, until completely melted. Add 3-5 drops of peppermint essential oil or candy cane fragrance oil and mix well. Add white pearl mica if desired. Spritz red layer of soap in the mold with rubbing alcohol. This helps each layer adhere to one another. 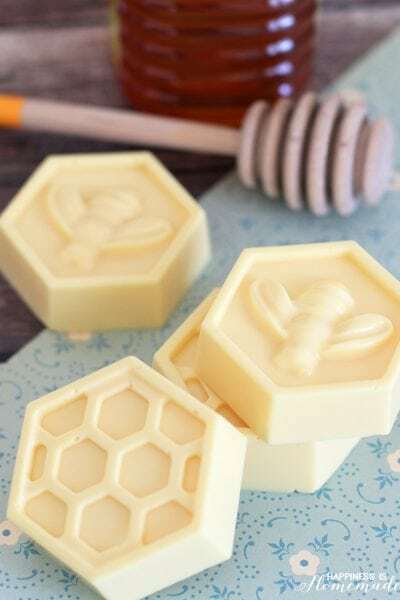 Pour white soap mix into mold. Spray top with rubbing alcohol to prevent bubbles from forming. Allow to harden completely before pouring the next layer. Repeat the process for each alternating layer until mold is filled or you have the height you want for your soaps. Allow to harden completely (I usually like to let it sit overnight if possible). Gently remove loaf from mold and remove soap. Cut soap into bars. 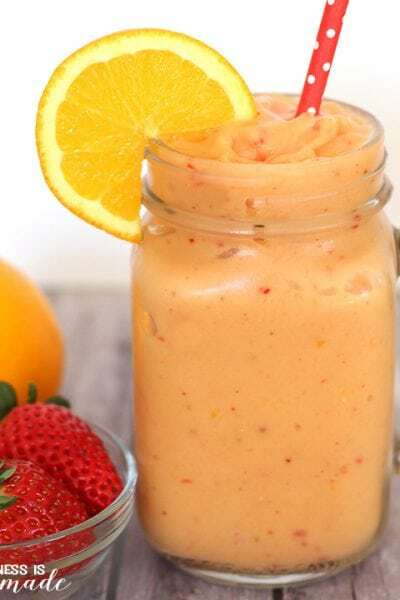 Wrap in plastic and/or store in an air-tight container until ready to use. 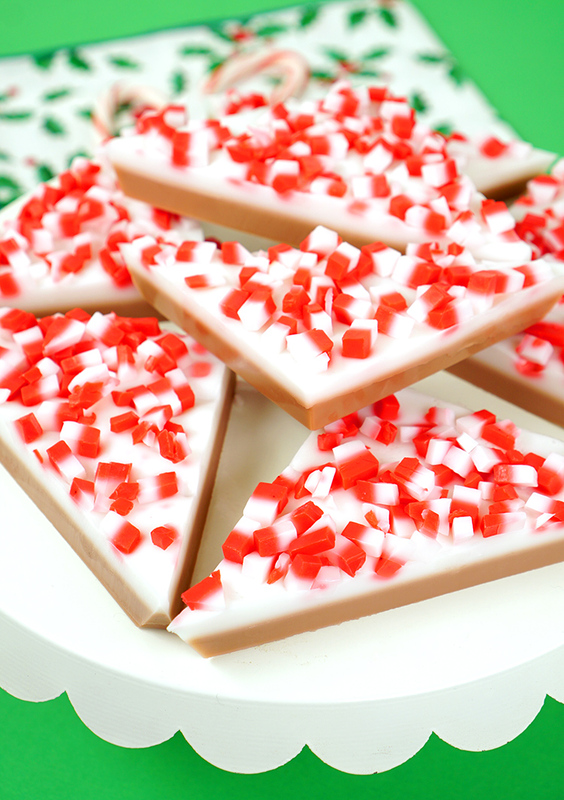 Pin this Candy Cane Soap for Later!